You don't have to be a formerly wide-eyed raver to mourn the complacency behind today's dance music-- or more precisely, to mourn the atrophy of a particular sense of optimism, of possibility, that once seemed encoded in particular rhythmic structures and the ceaseless advancement of electronic music's shifting stylistics. Dance music is once again a lifestyle product, a soundtrack for entertainment. That's not entirely a bad thing; lord knows we could use some distraction these days. But even dance music's hedonism feels perfunctory, pre-programmed. I used to be enamored of Berlin techno's never-ending parties, but these days I wonder if the obligation to defer closure isn't hurting the music itself. Unless you're talking about a ritual music like gamelan, music isn't really intended to be consumed in 12-hour shots. A party culture (and drug culture) predicated upon parties that never end can only result in a music that thumps dully away without surprise or meaningful variation. o electro-funk funcionou como catalizador do house, do techno e do hip hop. greg wilson esteve lá, bem no centro do movimento underground que revolucionou a música (não só a música de dança) na década de 80, tendo sido um dos pioneiros da cena disco e electro no reino unido. se seguirem o link podem ler uma entrevista a greg wilson no jazz diaries. entrevista com osborne no site little white earbuds. 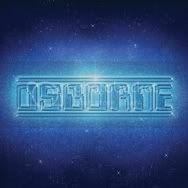 osborne, o álbum, é uma espécie de singela homenagem ao tempo em que a música de dança era simultaneamente luminosa e aventureira. 7 days in sunny june, já cantava o outro, foram mais do que isso mas também não interessa.